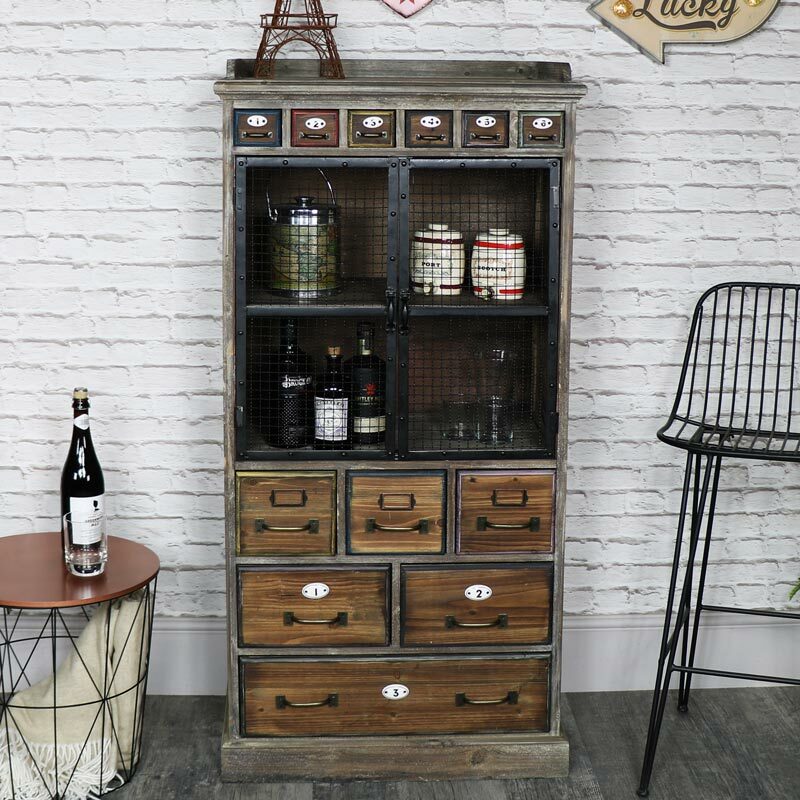 This unique display cabinet is the perfect item if you are wanting to add some extra storage and are a lover of that vintage retro and industrial style, it would look fantastic in a living room, kitchen or hallway. 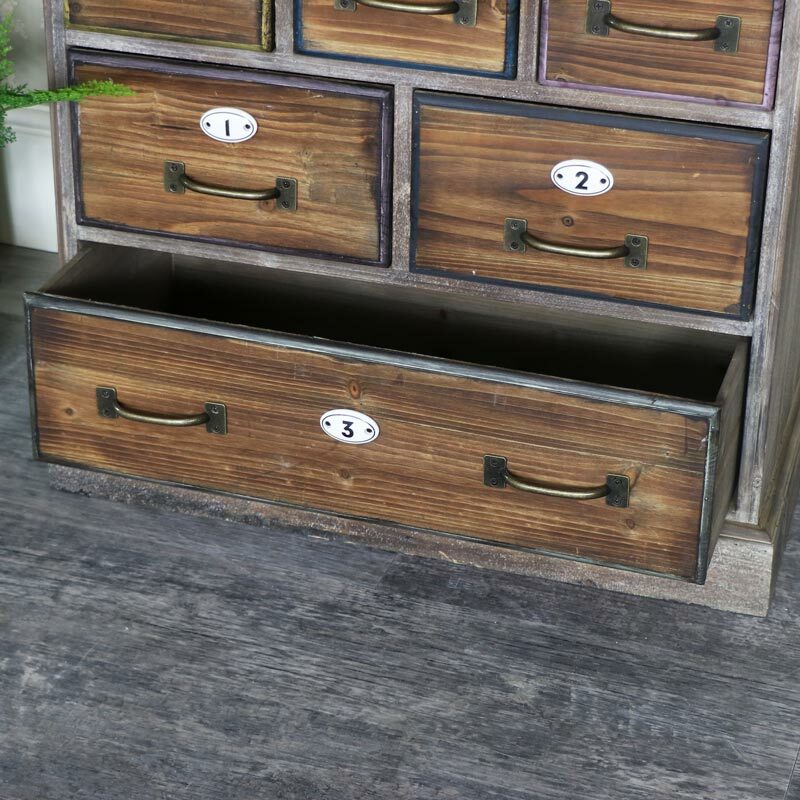 Six small drawers above a cabinet with 6 more larger drawers on the bottom. 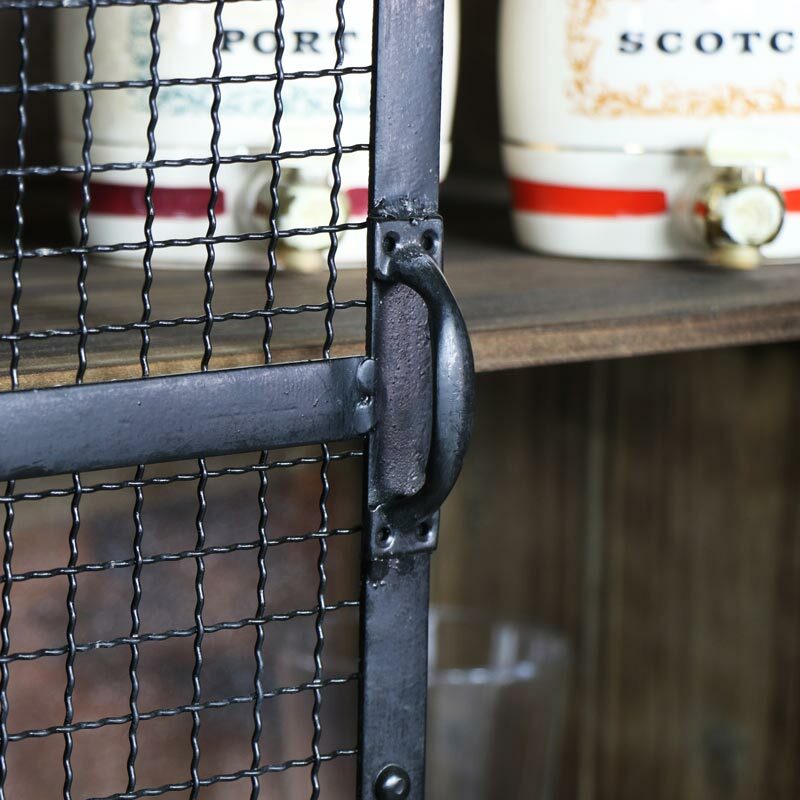 The cabinet features 2 wire mesh doors, with magnetic closing to keep the contents safe and secure. 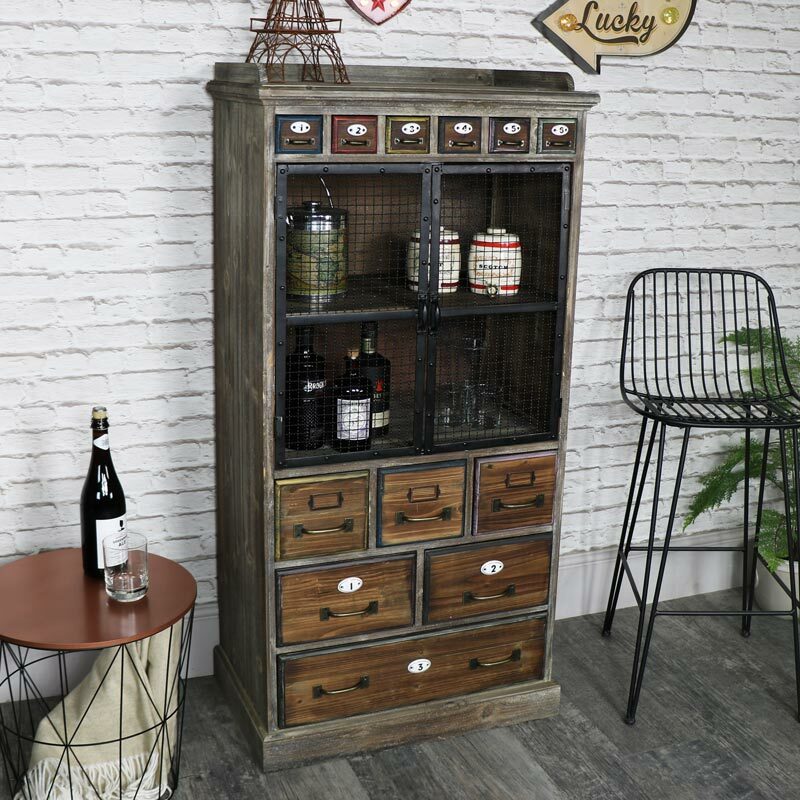 This cabinet is so versatile with so much storage space that it could be used as a wine cabinet. 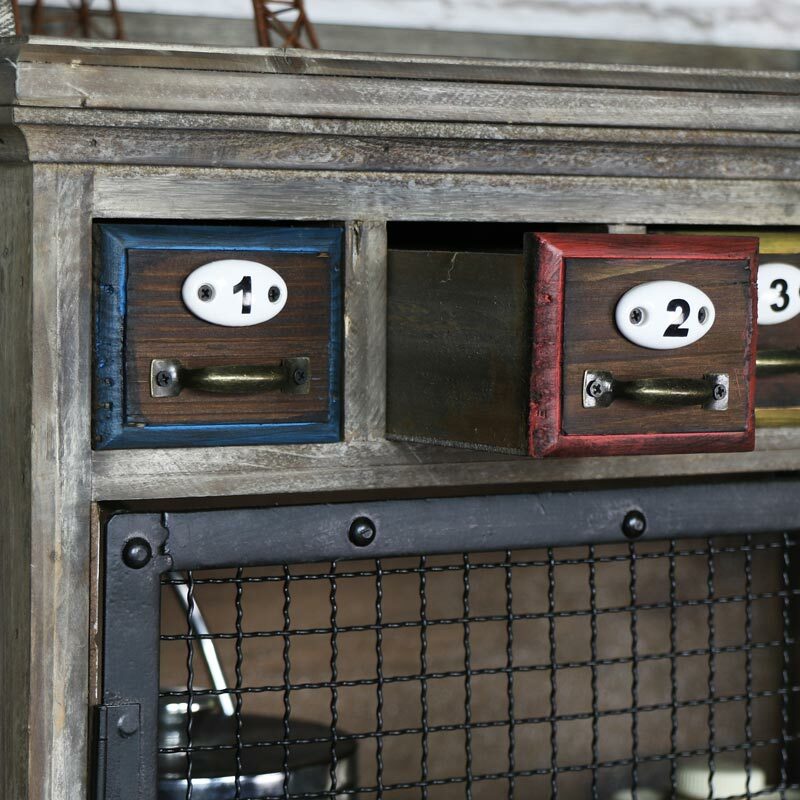 Office storage or even just as a unique display cabinet. 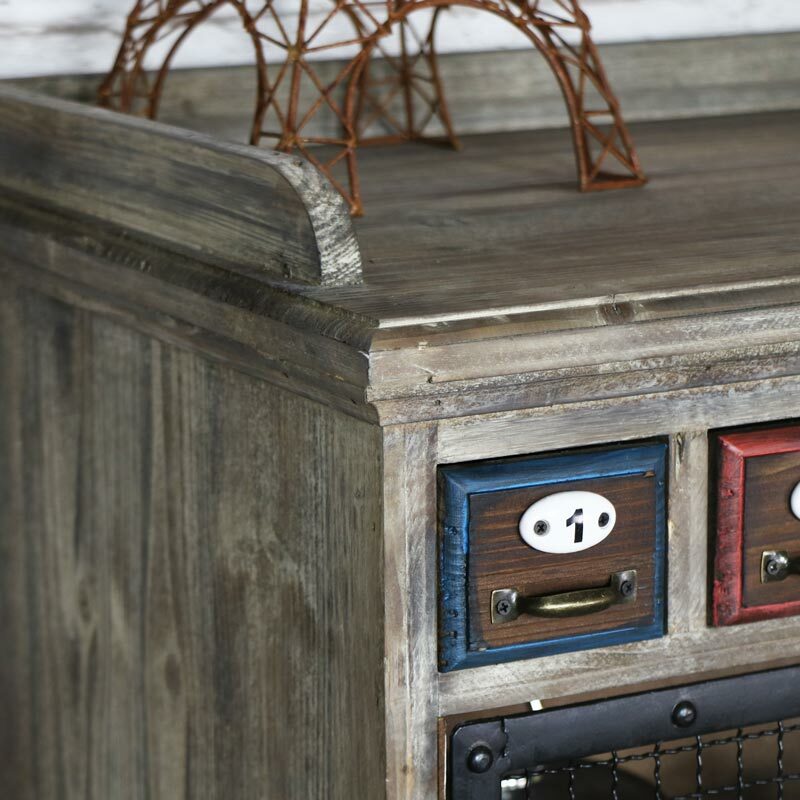 Made from wood in a rustic, distressed finish. 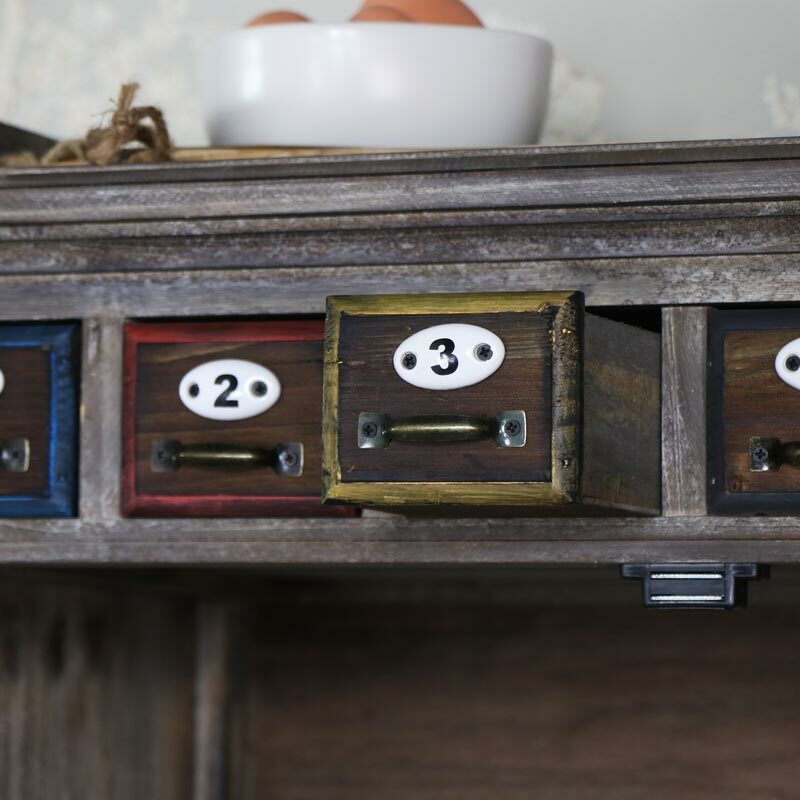 Each of the small drawers comes with a different coloured front. 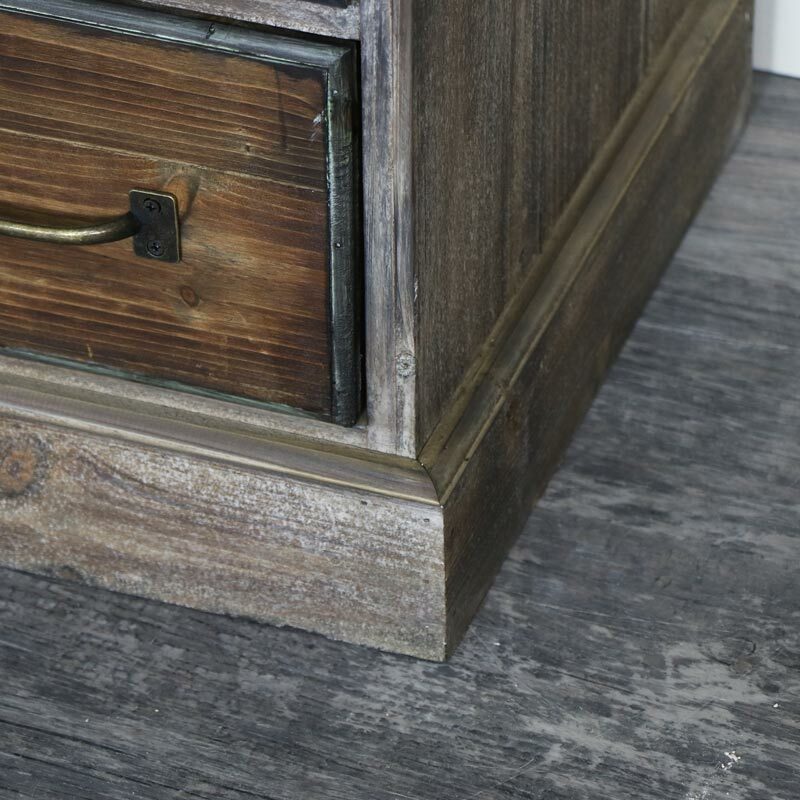 This unit comes fully assembled. 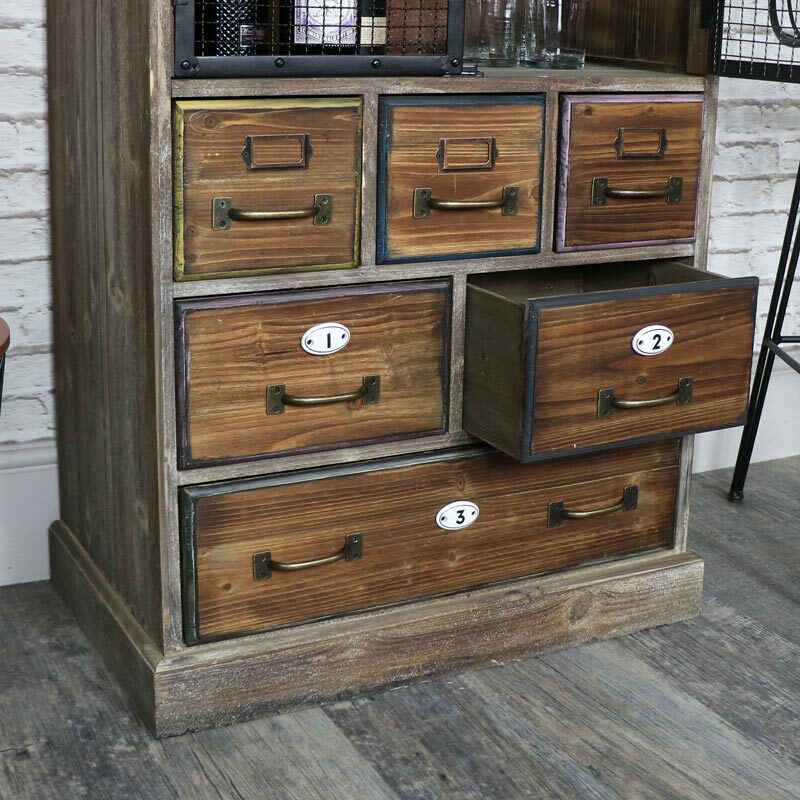 We have much more fantastic furniture available which will give your home that rustic warm feel.